Mimi and Charles take some time off from the detective agency to help Charles's friend, Anthony DeLuca, sell his exclusive line of voodoo dolls at a trade show in San Francisco. Mimi is less than thrilled to find out Charles has invited Homicide detective, Nick Christianson, to come along. 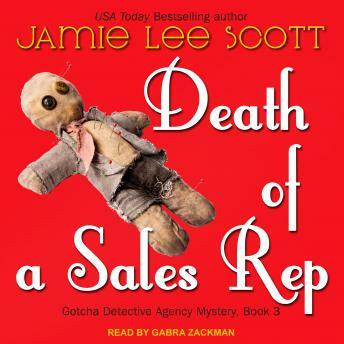 But as luck may have it, Mimi finds the body of a dead sales rep. When Anthony is implicated in the suspicious death, Mimi is back on the investigative job, and Nick goes off with his old partner at the SFPD, to find a killer. With so many viable suspects, who wanted this sales rep dead?